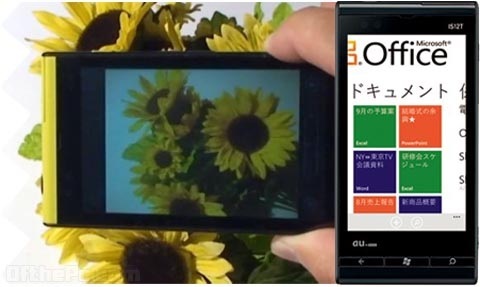 The 1st smartphone with Microsoft’s upcoming “Mango” build of Windows Phone, Windows Phone IS12T launched by Fujitsu Toshiba Mobile Communications recently in Tokyo, will feature the smartphone operating system "Windows Phone 7.5," provided by Microsoft Japan Co., Ltd. Despite of only these details know, its not known about the phone’s processors, RAM, and price, it will be available in 3 colors - pink, yellow, and black, when it ships in Japan sometime around September. Users can not only read and edit Microsoft Office documents, but can also store and share data through Windows Live SkyDrive, a free-of-charge cloud service operated by Microsoft. Microsoft hopes that Windows Phone would allow the company to more favorably compete with main rivals Google and Apple in the smartphone OS race, but a year after its initial release Microsoft has actually lost market share according to IDC.